John McCain was honored at a number of services and ceremonies this week, but the big one was on Saturday at the National Cathedral in Washington, D.C. All the big guns were in attendance, including former presidents and first ladies, current senators, cabinet officials, and so on. Well, all the big guns except for one, as Donald Trump was pointedly not invited. Barack Obama: So much of our politics, our public life, our public discourse, can seem small and mean and petty. Trafficking in bombast and insult and phony controversies and manufactured outrage, it's a politics that pretends to be brave and tough but in fact is born of fear. John called on us to be bigger than that. He called on us to be better than that. George W. Bush: He was honorable, always recognizing that his opponents were still patriots and human beings. He loved freedom with the passion of a man who knew its absence. He respected the dignity inherent in every life, a dignity that does not stop at borders and cannot be erased by dictators. Perhaps above all, John detested the abuse of power, could not abide bigots and swaggering despots. Meghan McCain: We gather to mourn the passing of American greatness—the real thing, not cheap rhetoric from men who will never come near the sacrifice he gave so willingly, nor the opportunistic appropriation of those who live lives of comfort and privilege while he suffered and served...The America of John McCain has no need to be made great again because America was always great. That the service took this turn was exactly what McCain wanted; one last extension of his middle finger in Trump's direction. In fact, some are calling it "the biggest resistance meeting yet" and "a council of war." This has already been tweeted and retweeted thousands of times. Clearly, many Americans are feeling nostalgic this weekend about a time when politicians may have disagreed on the issues, but embraced basic civility and decency. We will see if the Donald is able to continue holding his tongue when he wakes up on Sunday morning (and sees Fox News' coverage of the service). Of course, as Politico magazine's Gwenda Blair observes, Trump has nobody but himself to blame for this. In part because he's unable to disagree with people without being ultra-disagreeable, and so turns nearly everyone who isn't a loyalist into a bitter enemy. But also, in part, because he struggles so badly with the norms of polite behavior, including at funerals. At his father's funeral, where Trump was among the speakers, he crassly made his remarks entirely about himself and the real estate projects he was working on at the time. At the funeral of one-time mentor Roy Cohn, Trump was not asked to speak, primarily because he dropped Cohn like a hot potato after the lawyer's AIDS diagnosis. Consequently, he stood at the back of the room during the service, pouting and glowering, causing much comment among attendees. In other words, even people who like Trump might think twice about extending an invite. This whole Russia situation is going to make an excellent miniseries or soap opera or reality program one of these days. The latest episode, with reporting courtesy of the New York Times, is that British spy Christopher Steele and Justice Dept. official Bruce Ohr, both of whom have been linked with the infamous Fusion GPS dossier, were part of a CIA program aimed at flipping Oleg V. Deripaska and other Russian oligarchs, with hopes of turning them into double-agents who could be used against Vladimir Putin. There is no evidence that the scheme, which was undertaken between 2014 and 2016, was successful in any way. Democratic senators would like vast amounts of paperwork related to SCOTUS nominee Brett Kavanaugh's time working in the office of White House counsel. There are legitimate questions about his involvement with some of the unsavory decisions of the George W. Bush years, particularly as regards torture of detainees. Critics of the senators' demands, however, say that they are either (1) Just fishing around, in hopes of coming up with some dirt; or (2) Trying to delay the vote by throwing up unnecessary tasks to be completed. Newly-minted Florida gubernatorial nominee Andrew Gillum, as you may have heard, is black. And for anyone who hasn't heard, his opponents want to make sure the news gets out. GOP nominee Ron DeSantis already got in some hot water for a pretty obvious racist dog whistle uttered the day after the election. And now, a white supremacist group called The Road to Power is running a robocall that involves jungle sound effects and a Gillum "supporter" speaking in a minstrel-style black dialect. DeSantis, for his part, has denounced the call, telling The Road to Power to stop monkeying around with the election. Wait, that's not what he said. His actual response, delivered through a campaign surrogate, was, "This is absolutely appalling and disgusting—and hopefully whoever is behind this has to answer for this despicable action." Sen. Dianne Feinstein (D-CA), facing a challenger to her left, is going to use this week's Judiciary Committee hearings, where Brett Kavanaugh will be grilled, to try to score some brownie points. There was zero doubt that Florida's Senate race was going to get nasty. Though the dust from the primary has barely settled, it's already begun, with Gov. Rick Scott (R) declaring that Sen. Bill Nelson (D) is a job killer and a puppet of Nancy Pelosi. Apparently, originality is not Scott's strong suit. The Indiana Chamber of Commerce announced this week that it will make no endorsement in this year's Senate race. Given that the Chamber almost always endorses Republicans, that is at least a minor victory for Sen. Joe Donnelly (D). Sen. Ben Cardin (D-MD) has taken a leading role in Trump criticism this week, blasting the President for his announced (then backtracked) cancellation of federal employees' raises, and also his willingness to freeze Canada out of the NAFTA replacement. The professors responsible for Sen. Elizabeth Warren's (D-MA) hiring and promotion at Harvard say that, despite what Donald Trump says, Warren's ethnicity had nothing to do with the process. "I would be willing to swear on a hundred bibles, if I believed in the Bible, that the idea that she took advantage of some minority status was ludicrous," said one. Sen. Amy Klobuchar (D-MN) is trying hard to make elections more secure, and is getting nowhere. The death of John McCain reminded some people of some less-than-tasteful jokes about his Vietnam years that would-be Minnesota senator Karin Housley (R) made back in 2009. Missouri's Senate race has attracted more outside money than any other so far, with the current tally at $23 million. Odds are good that the Florida race will eventually move into the #1 spot, though. Republican Bob Hugin is running a pretty good campaign, and Sen. Bob Menendez (D-NJ) is not, plus his corruption trial is an anchor around his neck. This one isn't interesting yet, but it could get there. In Rhode Island, Republican challenger Robert Flanders unleashed an ad this week attacking Sen. Sheldon Whitehouse (D) for being too concerned about global warming. There may be states where that approach would be fruitful, say, Kansas, but Rhode Island (aka, among the first to end up underwater if the oceans rise) is not one of them. West Virginia AG Patrick Morrisey (R), who would like to knock off Sen. Joe Manchin (D), is trying to convince the Supreme Court to allow businesses to fire employees for being gay. Morrisey is doing poorly in polls, and so is getting a little desperate, but it would seem that his GOP playbook is 10 years old. Bernie Sanders, whose eye is presumably more on his upcoming presidential run than his slam-dunk Senate campaign, wants to put a special tax on companies whose employees are forced to collect food stamps or other public assistance due to low wages. It's not going to affect anything in deep red Utah, but soon-to-be-Senator Mitt Romney (R) raised a few eyebrows with the revelation that he managed to pile up six speeding tickets on the same road trip. If this was one with the dog on the roof of the car, at least the dog got plenty of fresh air. Up this week is one of the early favorites to capture the Democratic presidential nomination. Of course, that doesn't necessarily mean too much. Rudy Giuliani, Mario Cuomo, and the 2006 version of Hillary Clinton might all share a few insights about what often happens to early frontrunners. Remember, as always, that the "pros" and "cons" refer to things that will increase/decrease the odds of winning the general election, and not the Democratic primaries. Often, a "pro" in the primaries is a "con" for the general, and vice versa. Background: Born to immigrant parents, one from India and the other from Jamaica, Harris grew up in California and Canada. She took her undergraduate degree at Howard University and her law degree at UC Hastings. She then embarked on a lengthy career in public service, mostly spent as a prosecutor. A long-term professional and romantic relationship with well-connected California politician Willie Brown allowed her to start building a political network. Political Experience: Seven years as District Attorney of the City and County of San Francisco (2004-11), six as Attorney General of California (2011-17), and she is now in her second year as a U.S. Senator. Signature Issue(s): Law enforcement. When Harris was a prosecutor, she was naturally fairly gung-ho about putting people in jail. Now, as a member of the Senate Judiciary Committee, and an aspiring presidential candidate, she has grown a bit more moderate, particularly on drug-related issues. Still, this aspect of her past will be central to her pitch. Instructive Quote: "I'm a career prosecutor. I have been trained, and my experience over decades, is to make decisions after a review of the evidence and the facts. And not to jump up with grand gestures before I've done that. Some might interpret that as being cautious. I would tell you that's just responsible." Completely Trivial Fact: If elected, Harris would be the first president without children since James Buchanan left office in 1861. She does have two stepchildren, though. And, unlike Buchanan, there is no reason to suspect that she is gay. Recent News: Harris announced plans to publish a memoir, entitled The Truths We Hold: An American Journey, in early 2019. She will also visit South Carolina in September, which is an early primary state, and a key for any Democratic candidate looking to demonstrate their strength with black voters. Three Biggest Pros: (1) Harris is a very skilled user of social media and of "big data," probably the best in the field; (2) Her "law and order" background should appeal to many centrist voters; and (3) She will be more able to attract minority voters than an old, white guy like Joe Biden or Sen. Bernie Sanders (I-VT). Three Biggest Cons: (1) If any Democratic candidate will light a fire under Donald Trump's base, it's a child of immigrants from California who is also a woman and black; (2) Her ambition may be just a little too obvious, which is generally a turnoff to voters; and (3) While Harris will undoubtedly attract minority votes, the effect may not be as strong as one may think, given her past support for things like "three strikes" laws and her defenses (in a professional capacity) of death sentences. That is to say, she is somewhat out of step with Black Lives Matter and many other minority activists. Is She Actually Running? : Officially, she says she is "not ruling it out." Unofficially, of course she is. You don't publish a memoir telling your life story and laying out your political program in January of the year before a presidential election unless you're running. Betting Odds: She's getting anywhere from 11/2 to 7/2, which implies roughly an 18% chance of getting the nod. At many books, Harris has the best odds of any candidate, at others she's trailing only Sanders and/or Biden. 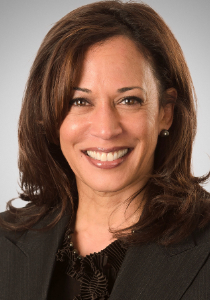 The Bottom Line: At first glance, Harris looks like Obama 2.0, given her tactical savvy, her charisma, and her mixed-race heritage. However, Obama had a near-monopoly on the progressive end of the political spectrum and on black voters in 2008. Harris is going to be vigorously challenged for those segments—by Sanders, Sen. Elizabeth Warren (D-MA), and others for the progressive votes, and by Sen. Cory Booker (D-NJ) for the black votes. Harris has also not been subjected to the scrutiny of the presidential spotlight in any serious way; we don't even know, for example, how good a public speaker or debater she really is. Obama's rise began with his speech to the 2004 DNC, which made him instantly famous. Harris has nothing like that on her resumé. Add it all up, and there is definitely a path for her that leads to the White House, but there are also lots of ways this could go wrong.